Bug Watch Bracelet Anti-Mosquito Kids Blue Lagoon 1 item order online. The BugWatch combines nanotechnology with the most efficient plant repellent nature, Citriodiol. With the aid of the slow-release technology, each BugBlock spreads a characteristic odor, which forms a protective shield of 360 ° around the area of ​​use. Done with those pesky mosquitoes! Open the package and place the BugBlock at the opening of the BugWatch. Press firmly so that it fits into the opening. Adjust the length of the bracelet. Remove the BugBlock by pushing from behind. 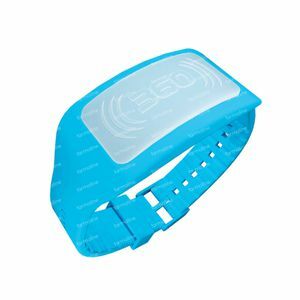 If you do not use the BugWatch, then place it the resealable package. The BugWatch works for 15 days after opening. The Bug Watch can be used by adults and children from 4 years. 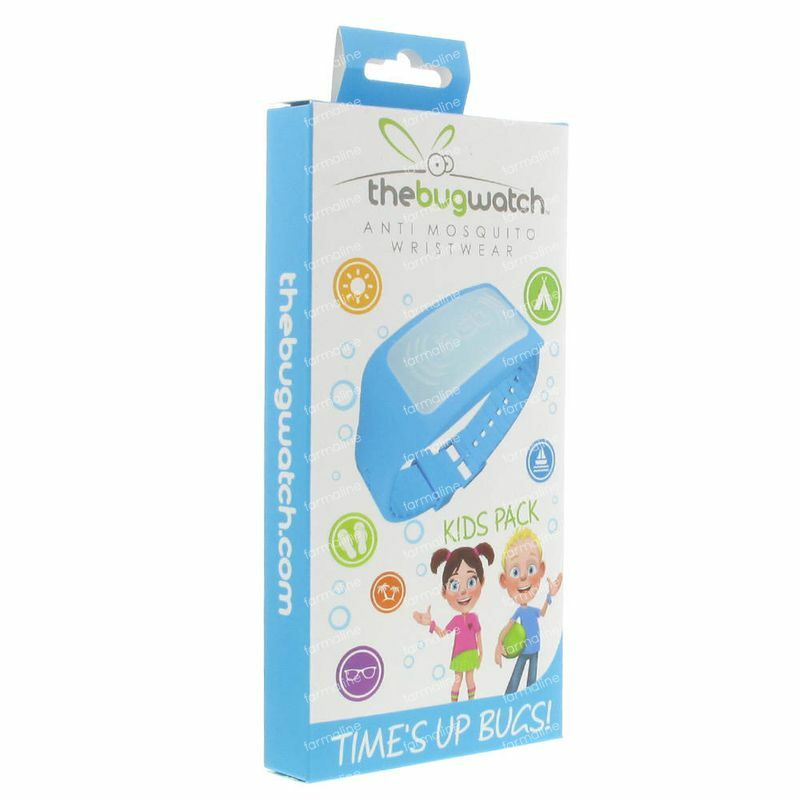 The BugWatch includes 1x BugBlockTM repellents filling and is effective for up to 360 hours (15 days) after opening.